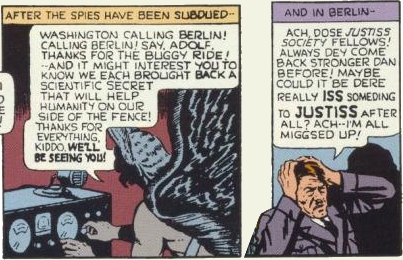 It takes some serious chutzpah to make a crank call to Berlin during World War II. Little known fact: When angry, Hitler used to speak to himself in really bad English. 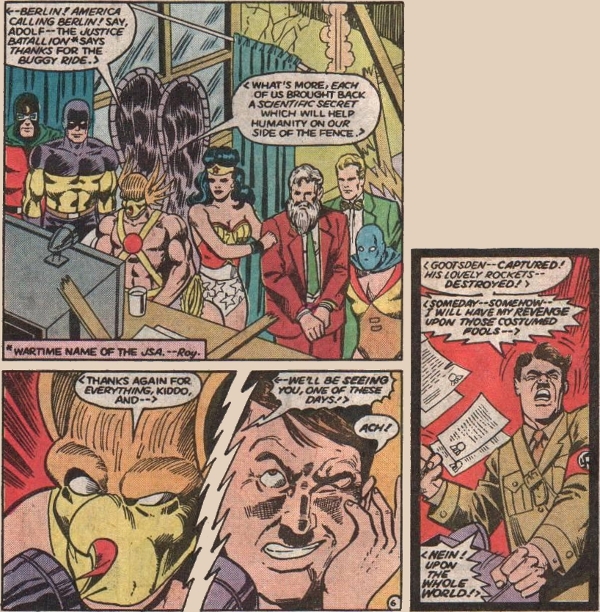 This how-to guide on trolling Hitler courtesy of All-Star Comics #13 (October-November 1942) by Gardner Fox and Jack Burnley and All-Star Squadron #60 (August 1986) by Roy Thomas, Dann Thomas, Mike Clark, Arvell Jones, Jerry Ordway, Vince Colletta, and Tony DeZuniga.